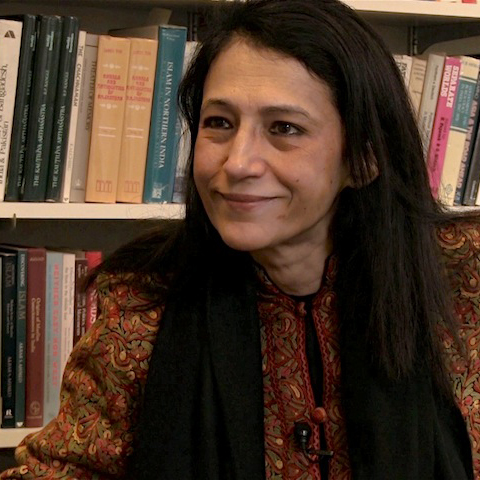 Ayesha Jalal is the Mary Richardson Chair in the Department of History at Tufts University. She received her Ph.D. in History in 1983 from Trinity College, University of Cambridge. In 1998, Jalal was named a MacArthur Foundation Fellow. Before joining the Department of History at Tufts, she held teaching positions at Columbia University, Harvard University, and the University of Wisconsin-Madison. In addition to her many other publications, Jalal is best known for her book, The Sole Spokesman: Jinnah, the Muslim League, and the Demand for Pakistan (Cambridge University Press, 1985), which built upon her dissertation work at Trinity College. Her current projects include the following books: Battle for Pakistan, Jinnah, and Companion to Modern South Asia co-authored with Sugata Bose. How did the experience of religious minorities who chose not to move after partition differ from those who did? Can the discussion of India’s independence be separated from the discussion of partition? What was the United Sovereign Bengal plan? Who were the key groups negotiating the terms of independence? How did WWII shape the discussion of independence between Indians and the British? What issues contributed to the partition of India? How did everyday people in India participate in the independence movement? How did the Muslim League react to the results of the 1937 elections? How do ideas of nationhood inform everyday life in India and Pakistan? Why should high school students learn about the history of India’s independence and the partition of 1947? What plans were proposed for India’s independence?